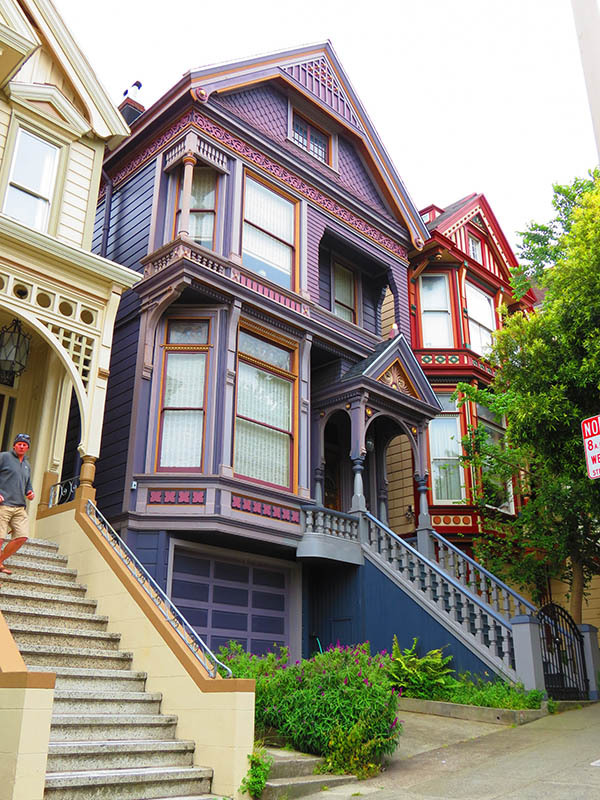 Now that we’re in the thick of the 50th Anniversary of the Summer of Love (which, BTW we’re running some mad specials for), it’s high time we presented you with our guide to the iconic Haight-Ashbury neighborhood, aka where it all started. However, considering that it is the anniversary of this important event, your guide 2 Haight-Ashbury is being served “Summer of Love” style. That said, here’s your guide to those legendary spots from the Summer of Love that are still in existence. Click the links to see these spots on the map. Easily the most recognizable landmark in the neighborhood, the street signs at the infamous corner of Haight and Ashbury Streets are synonymous with the Summer of Love in SF. And that means a photo-op is an absolute must. Even more reason to visit is that Jimi Hendrix’ former apartment is just a few steps away. Just look for the Jimi mural, and you’ve found his home. If you continue down Haight Street, towards the Buena Vista Park, you’ll soon find yourself in front of a legendary Victorian structure that was home to Jerry Garcia and crew during the Summer of Love. Unfortunately, The Dead house does have new owners, so there’s no going in, but the owners aren’t ones to complain about the numerous photo ops happening in front of their door. A walk down hippie lane would not be complete without a trip to one of the many parks that the Summer of Love hippies converged upon during the summer of 1967. Both the Panhandle and Hippie Hill in Golden Gate Park were two such popular spots. 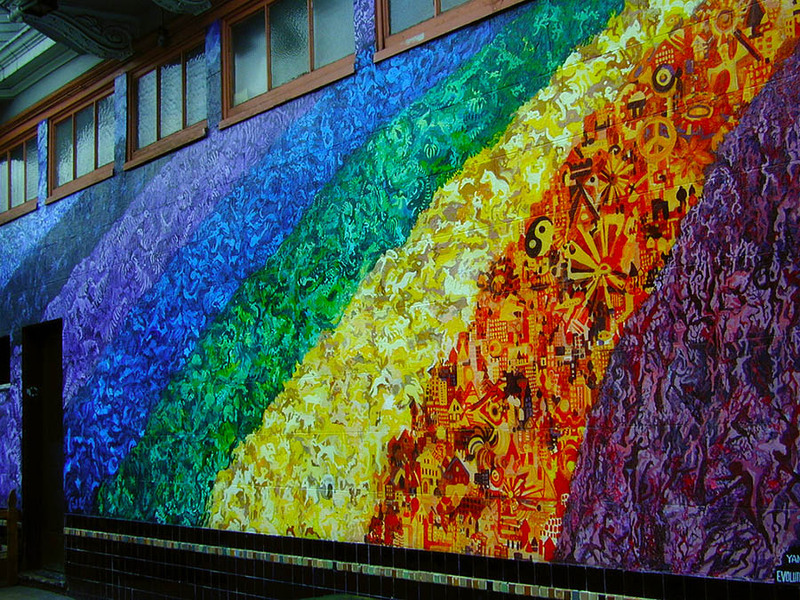 Thanks to the tireless efforts of the citizens of SF, this mural is still in existence. Painted by artist Yana Zegri during the Summer of Love, Evolutionary Rainbow is not only a historic testament to the summer of ‘67, but a psychedelic one as well. Unfortunately, in the 80s the mural was painted over, but after enough protesting by SF locals, Zegri was invited to repaint the mural. And today, it’s been converted into a mosaic. Because it’s the 50th Anniversary of the Summer of Love, we’re running some great specials at Stanford Court Hotel, from April 8 - August 20.